Welcome to Hill Allotments. We hope that you will enjoy your plot and reap the rewards that it will give you. Health & Safety may not be your priority whilst working away on your plot but your committee takes your health and safety very seriously and we want to run a site that is as safe as reasonably practicable. This leaflet has been put together to give you some advice, guidance and information to make your visit to our site as safe as possible. In the unlikely event that you have an accident whilst on site a record must be made in the accident book which is kept in the stores shed. Please contact a committee member who will record the accident in the accident book. As this contains your personal information the page will be ripped out of the book and left in a secure place.In cases where the accident is serious and requires hospital treatment we are required to inform Birmingham City Council of the accident and carry out an investigation. * Avoid allowing spray to drift onto neighbours plots. We would ask that gas bottles are not bought on to this site. Some chemicals are flammable, please store them in suitable containers away from heat or sources of ignition. A first aid box is provided for the use of all plot holders should you need such things as bandages, plasters, slings etc.The first aid box is located in the wooden shed (next to the store shed) and your key used to open the main gates will open the padlock to this shed.There are no first aiders on site. As there are no phones on site we do recommend that you have a mobile phone with you in case you need to call for emergency services in case of an accident. Dial 999 or 112 from a mobile phone and tell them our address (see bottom of the page). There is only one roadway that serves the allotments and does not have a separate footpath for pedestrians to use. We therefore ask all drivers to observe the 5 mph speed limit when driving on site. Drivers are asked to be alert to pedestrians that may enter the road from their allotment footpath. Parents are reminded to keep a close eye on small children and not to let them play near the road. 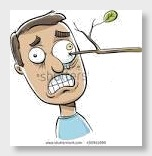 If you use short canes or sticks etc to support plants please ensure that the top of the cane is covered by a cork or other blunt object to prevent possible damage to eyes when bending down. Hill Allotments 33A Dugdale Crescent, Sutton Coldfield, West Midlands, B75 5EY.